Your digital communications are a key component of your brand identity. Transform your association marketing through email campaigns built using professionally designed templates, smart segmentation, and automation. Ensure your brand identity is carried across all communications with themes and templates, so you deliver a consistent image no matter who sends an email. Designed from the ground up to be read across multiple devices and phones, you can count on your message appearing professional no matter where it's read. The more emails members receive where the topic is irrelevant, the less they'll open up future emails. Get the right information to the right audience at the right time with targeted smart lists. Further increase open rates by embedding field values within your subject and content body, to create a compelling message. Drag and drop auto-updating content such as upcoming events, sponsors, and blog articles right within your campaigns for maximum reach with zero additional effort. Impress your recipients and put your best face forward with modern, mobile responsive association newsletter templates designed for the modern membership organization. Start with any of our templates, then put your personal touch. 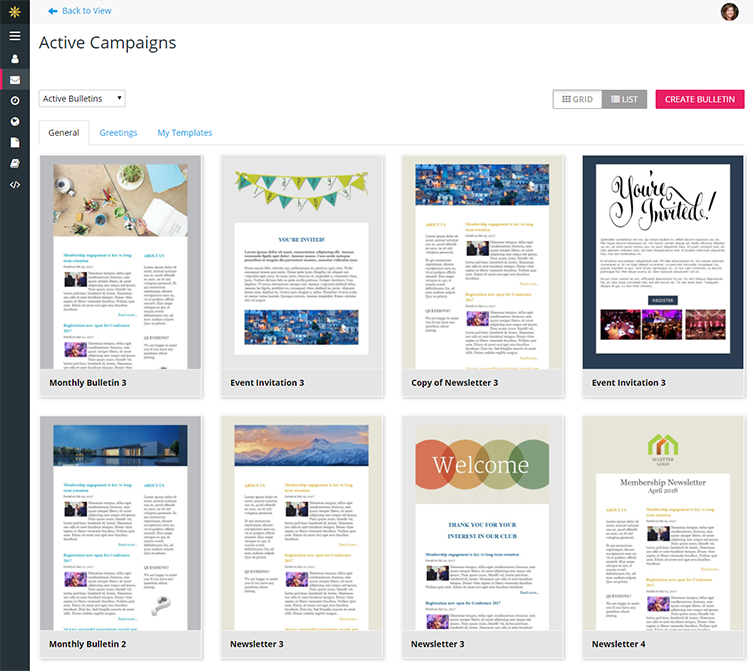 Spin off your own standard templates for every communication from newsletters, event invitations, registration confirmations and even invoices. 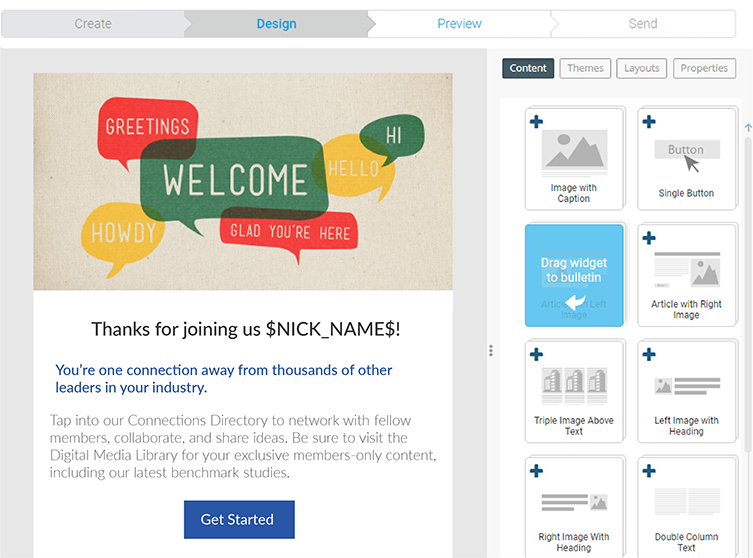 Our templates are tested to render beautifully on 70+ email clients, across multiple browsers and devices. Tap into vital statistics on open rates, bounces, blocks and more to ensure your messages are being delivered. With a tightly integrated communications platform, you can rest assured that unsubscribe requests are respected across all modules. For your emails to be effective, they first need to reach the inbox. 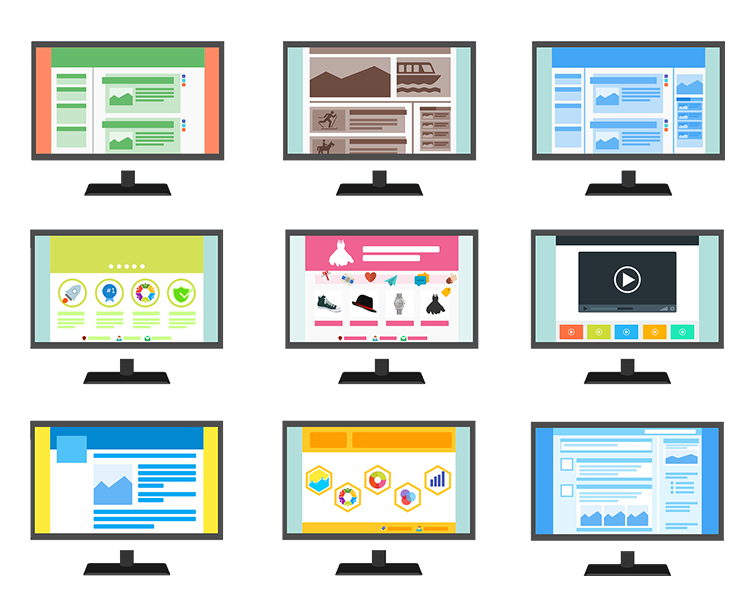 Proactive ISP monitoring and dedicated IPs mean you can be confident that your campaigns will succeed. Attract, nurture and convert prospective members. Stay in constant touch with members, prospects, sponsors, constituents, etc. to always stay top of mind. Design and build your email campaign plan and schedule it in advance. Stay on top of your recurring emails by setting them up once and letting the system do the rest. Foster ongoing engagement with your donors and automatically re-engage past donors. Schedule emails in advance but use segments that are live and produced in real time. 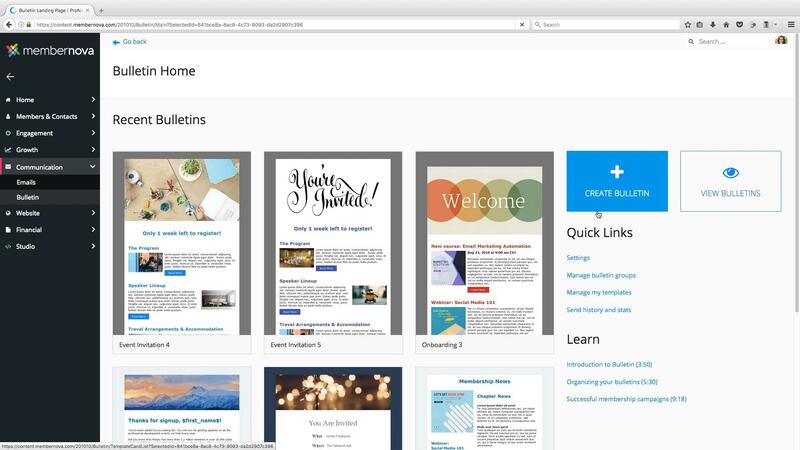 Tap into a library of curated and proven email content. Know what's working with email stats on delivery, open rates, read rates and easily manage email stats. Baked in opt-in and opt-out capability to comply with CANSPAM and CASL legislation.